It is impossible to live a pleasant life without living wisely and honorably and justly, and it is impossible to live wisely and honorably and justly without living pleasantly. 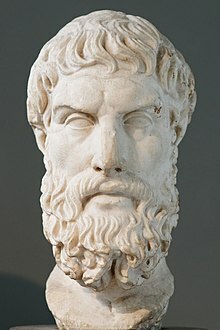 Epicurus (341 BC – 270 BCE) was an ancient Greek philosopher whose ideas gave rise to systems of thought known as Epicureanism. The greatest reward of righteousness is peace of mind. τὸ φρικωδέστατον οὖν τῶν κακῶν ὁ θάνατος οὐθὲν πρὸς ἡμᾶς͵ ἐπειδήπερ ὅταν μὲν ἡμεῖς ὦμεν͵ ὁ θάνατος οὐ πάρεστιν͵ ὅταν δὲ ὁ θάνατος παρῇ͵ τόθ΄ ἡμεῖς οὐκ ἐσμέν. Self-sufficiency is the greatest of all wealth. A happy and eternal being has no trouble himself and brings no trouble upon any other being; hence he is exempt from movements of anger and partiality, for every such movement implies weakness. Οὐκ ἔστιν ἡδέως ζῆν ἄνευ τοῦ φρονίμως καὶ καλῶς καὶ δικαίως, οὐδὲ φρονίμως καὶ καλῶς καὶ δικαίως ἄνευ τοῦ ἡδέως. ὅτῳ δὲ τοῦτο μὴ ὑπάρχει ἐξ οὗ ζῆν φρονίμως, καὶ καλῶς καὶ δικαίως ὑπάρχει, οὐκ ἔστι τοῦτον ἡδέως ζῆν. Variant translation: No pleasure is itself a bad thing, but the things that produce some kinds of pleasure, bring along with them unpleasantness that is much greater than the pleasure itself. Of all the means which wisdom acquires to ensure happiness throughout the whole of life, by far the most important is friendship. Chance seldom interferes with the wise man; his greatest and highest interests have been, are, and will be, directed by reason throughout his whole life. (16). Ὁ δίκαιος ἀταρακτότατος, ὁ δ᾽ ἄδικος πλείστης ταραχῆς γέμων. Variant: Natural justice is a pledge of reciprocal benefit, to prevent one man from harming or being harmed by another. or both wants to and can. If he wants to and cannot, then he is weak and this does not apply to god. If he can but does not want to, then he is spiteful which is equally foreign to god's nature. If he neither wants to nor can, he is both weak and spiteful, and so not a god. If he wants to and can, which is the only thing fitting for a god, where then do bad things come from? Or why does he not eliminate them?" Charles Bray, in his 1863 The Philosophy of Necessity: Or, Natural Law as Applicable to Moral, Mental, and Social Science quotes Epicurus without citation as saying a variant of the above statement (p. 41) (with "is not omnipotent" for "is impotent"). This quote appeared in "On the proofs of the existence of God: a lecture and answer questions" (1960) by professor Kryvelev I.A. (Крывелёв И.А. О доказательствах бытия божия: лекция и ответы на вопросы. М., 1960). 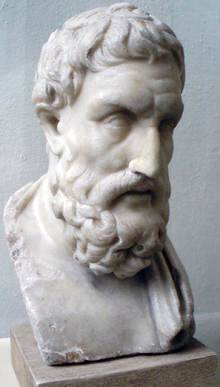 And N. A. Nicholson, in his 1864 Philosophical Papers (p. 40), attributes "the famous questions" to Epicurus, using the wording used earlier by Hume (with "is he" for "he is"). Hume's statement occurs in Book X (p. 186) of his renowned Dialogues Concerning Natural Religion, published posthumously in 1779. 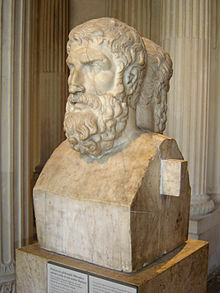 The character Philo precedes the statement with "Epicurus's old questions are yet unanswered.…". Hume is following the enormously influential Dictionnaire Historique et Critique (1697–1702) of Pierre Bayle, which quotes Lactantius attributing the questions to Epicurus (Desoer, 1820, p. 479). There has also arisen a further disputed extension, for which there has been found no published source prior to The Heretic's Handbook of Quotations: Cutting Comments on Burning Issues (1992) by Charles Bufe, p. 186: "Is he neither able nor willing? Then why call him God?" Atque omne immensum peragravit, mente animoque. So the vital strength of his spirit won through, and he made his way far outside the flaming walls of the world and ranged over the measureless whole, both in mind and spirit.